An extensive aqueduct system moves water across the Ak-Chin Farms operation. Located a comfortable hour’s drive south of Phoenix, the folks at Ak-Chin Farms keep a wary eye on the steady sprawl of the expanding city. But with 17,000 acres of crops located in the often bone-dry Sonoran Desert, urban sprawl has never been their chief concern. The primary limiting factor here remains water accessibility – as it has from the farm’s inception. 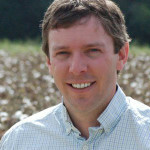 With around 5,100 acres in cotton, Ak-Chin Farms Enterprise has much in common with a typical Southwestern cotton farm. But this is no ordinary operation. The Ak-Chin Indian Community runs this operation, which sits on a reservation that was signed into existence in 1912 by President Howard Taft. The tribe formally organized a government in 1961, and set about its first major enterprise – farming – shortly thereafter. From the beginning, water was a challenge. The word itself – Ak-Chin – means “place where the wash loses itself in the sand or ground.” It refers to a type of farming that relies on seasonal food-plains created by winter snows and summer rains. 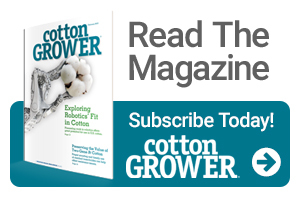 In the 1960s and 70s, as cotton was becoming a staple in the area, water tables began to dwindle. This made it considerably more expensive to irrigate. 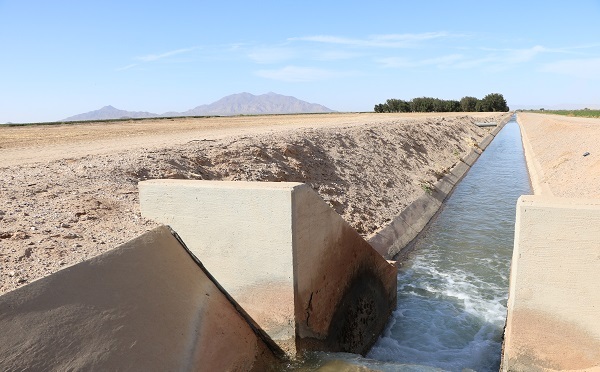 In 1968, the Central Arizona Project was created in part to divert water from the Colorado River into nearly one million acres of agricultural land area in Maricopa, Pinal and Pima Counties – including reservation territory. At the time, Ak-Chin agreed to stop irrigating with groundwater in order to have access to the newly created aqueduct system. Of course, there were limits to how much water the community could have access to. Those limits exist still today. The unique water scenario brought about a mindset of efficiency on the operation. That philosophy has translated into the management practices and on-farm decisions of every aspect at Ak-Chin Farms. Murrieta and his co-workers have embraced precision practices and advanced technologies. Data collection and analysis is at the heart of management decisions on the operation. Everything from soil-moisture to wind speeds to seeding rates is documented, archived and studied. There’s no practice or technology that is too advanced for the operation. It’s impossible to discuss Ak-Chin Farms without mentioning the other tribal enterprises – notably, an egg farm, an industrial park owned ty the Ak-Chin Indian Community, and a resort and casino. The idea, with each, is to provide income and support to the tribal community. To that end, the farming operation – with its embrace of precision practices and ideas – is doing a tremendous job. In recent years it has contributed some $10 million annually to tribal income. In a way, Ak-Chin presents a unique look at what could happen on an operation if management truly went all-in on precision agriculture. As Murrieta points out, precision thinking influences nearly every decision on the farm. Ak-Chin tractor drivers will chart seeding rates using a John Deere Operations Center. The operation utilizes soil testing using Veris EC (electrical conductivity) mapping. They conduct on-the-go variable rate fertilizer applications – then later return and chart its degrees of success via yield mapping. The amount of data the operation generates is remarkable. Murrieta says the farm even charts fuel consumption, factoring in trips to and from a given field. This data collection is compounded by the diversity of crops produced on the sprawling operation. In 2017, Ak-Chin planted alfalfa, wheat, barley, corn, sorghum, potatoes, jalapenos and pecans. But cotton remains the primary focus. In addition to upland varieties, the operation also grows 500 to 800 acres of Pima in a given season. In typical Ak-Chin style, Murrieta says he and his counterparts have been experimenting with finding the best possible Acala variety for their operation. As with everything else on this unique farming operation, the experiment for a best possible outcome continues.